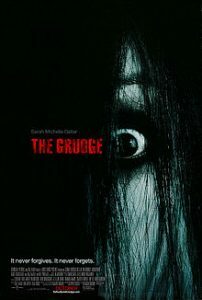 This is a list of movie recommendations of movies similar to The Grudge. Bear in mind that this list is in no particular order. 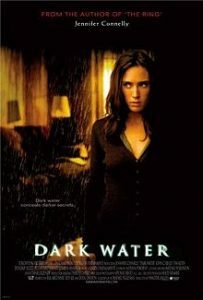 A female journalist (Naomi Watts) must prevent evil Samara from taking possession of her son’s (David Dorfman) soul. Dahlia (Jennifer Connelly) wants to move away from her ex-husband, Kyle (Dougray Scott), and take her daughter, Ceci (Ariel Gade), with her. Relocating to a dreary tower block, Dahlia and Ceci discover eerie, dark water leaking through the ceiling of their new apartment. Dahlia petitions the supervisor (Pete Postlethwaite) and the building’s owner (John C. Reilly) to fix the leak, yet it only gets worse. Now having nightmares about the dripping, Dahlia is driven to confront the problem herself. 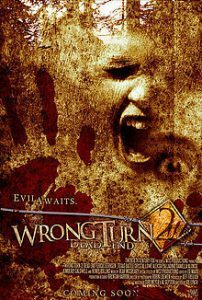 As a young boy, Tim (Aaron Murphy) witnesses the horrifying event of his father (Charles Mesure) being dragged away by the boogeyman. 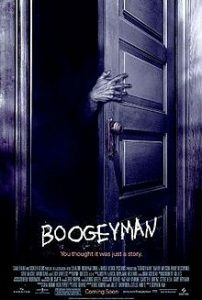 Despite the reassurances of his mother (Lucy Lawless) that the boogeyman is not real, he is never the same afterward. Years later, Tim (Barry Watson) manages to create a normal life for himself — though he lives without closets and keeps his mattress on the floor. But when he learns of his mother’s death, Tim must return home to face his childhood trauma. 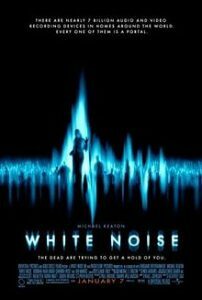 Architect Jonathan Rivers (Michael Keaton) is happily married to author Anna (Chandra West), but tragedy strikes when she is killed in an accident. Deep in grief, Jonathan hears from Raymond Price (Ian McNeice), who claims that he has intercepted messages from Anna via electronic voice phenomena. 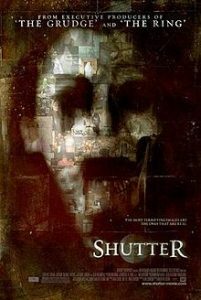 Jonathan eventually comes to believe Raymond’s claims, but, as he is drawn further into investigating the phenomenon, a sinister supernatural presence invades his life. 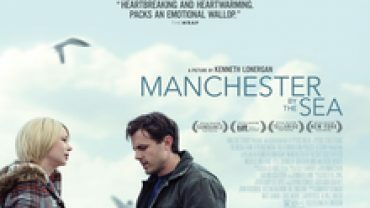 In a bid to pull his shattered life back together, troubled ex-cop Ben Carson (Kiefer Sutherland) takes a job as a security guard at the burned out ruins of a once-prosperous department store. As Ben patrols the charred hallways, he begins to see horrifying images in the ornate mirrors that still adorn the walls. 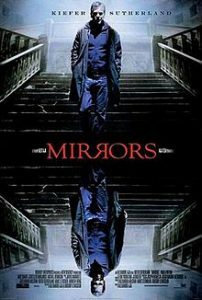 Ben soon realizes that a malevolent force is using the mirrors to gain entrance into this world, threatening the lives of his wife (Paula Patton) and children. Hoping to win a cash prize, a group of strangers heads out into the West Virginia woods for a survival-themed reality television program. Ex-military tough guy Dale (Henry Rollins) and his fellow adventurers (Erica Leerhsen, Texas Battle, Daniella Alonso) are set for a week in which they’ll forage for food and battle Mother Nature. But, when they find they’re being hunted by a homegrown band of cannibals, the competitors are forced to fight their way out — or be eaten in the process. When Beth Raymond (Shannyn Sossamon) witnesses the deaths of two friends, she knows there is more at work than just a tragic coincidence; days before they die, both victims hear their terrifying final moments on cell phones. Though the police think Beth is crazy, detective Jack Andrews (Ed Burns), believes her. 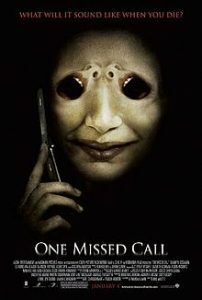 Together the pair try to unravel the mystery behind the horrifying messages before their own phone numbers come up. 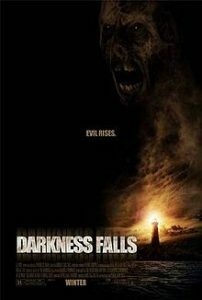 In Maine, the residents of Darkness Falls are all aware of the legend of Matilda Dixon, an old woman who was tragically murdered by a mob in the 1800s because the townspeople thought she was killing children. Now Darkness Falls has to contend with Matilda’s supernatural wrath. Childhood friends Kyle (Chaney Kley) and Caitlin (Emma Caulfield) return home to uncover the truth behind the legend after Caitlin’s little brother (Lee Cormie) has recurring nightmares about Matilda. 10 Similar Movies Like The Man from U.N.C.L.E.